A titanic takeover battle for European TV operator Sky between Rupert Murdoch's 21st Century Fox and US cable giant Comcast culminates Saturday in a rare blind auction. Sky's subscription base of 23 million and rights to English Premier League football make it one of Europe's most profitable and powerful TV companies. The auction pits two traditional US media behemoths who are seeking content to keep viewers from switching to streaming services such as Netflix. Comcast's latest offer values Sky at £26 billion ($34 billion, 29 billion euros). Fox has boosted its own bid to £24.5 billion and Saturday will decide who finishes with the highest offer in a complex process being held away from the public eye. The showdown will help determine whether Australian-born US citizen Murdoch succeeds in acquiring the 61 percent stake in Sky he does not already have but has long sought. The two-year saga is also reshaping the US media-entertainment world landscape by allowing Walt Disney Co. to complete its mega-merger with Fox. Saturday's auction has thus turned into a proxy battle between Comcast and Disney for Sky. Comcast's holdings already include Universal Studios and the US television channels NBC and CNBC. Disney's empire stretches from its film studio and theme parks to the US television network NBC and the various ESPN sport channels. Critics argue that allowing Murdoch—who owns major British newspaper titles The Times and The Sun—full control of Sky News would give him too much influence in the UK news business. Fox has proposed to remedy this by sell the rolling TV news channel to Disney should it win full control of Sky. It is rare for a takeover of this size and impact to be determined in a blind 24-hour auction that is due to end at 1600 GMT. Britain's Takeover Panel decided this course after neither offer was deemed to be final and it sought "an orderly framework for the resolution of this competitive situation". The Takeover Panel will not declare an auction winner but simply state the size of the offers made. Sky shareholders will then have several days to decide which suitor they find most attractive and a final deal will be struck. It set October 11 as the deadline "on which either offeror's offer can become or can be declared unconditional" by shareholders. 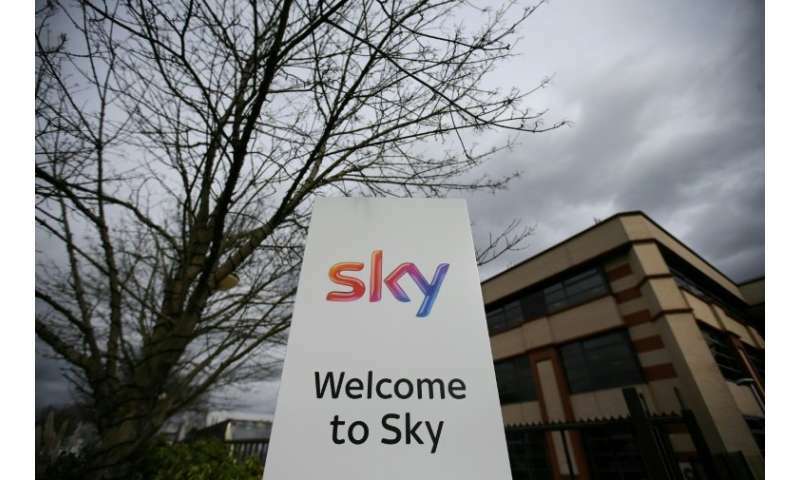 Sky is currently trading at £15.85 a share—above Comcast's latest offer price of £14.75.